This past saturday we ventured across PA state lines along I-70 toward Columbus. 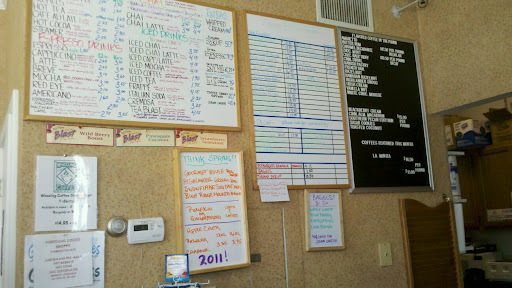 Prior to the drive, it was decided that we would use Urbanspoon to find a worthwhile stop for a morning coffee. 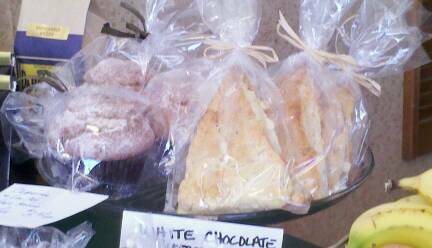 Wheeling Coffee Shoppe was one of the few offerings that caught our eye. This quaint little corner coffee shop offers a large selection of drinks and has inside seating. It was apparent that everything on and off the menu was made with love. And the locals that were sitting around the shop all seemed to be in good spirits. My usual morning drink is an Espresso Americano, so it was an easy choice from the menu. The beans were very good, though I didn’t take notice as to their origin. The mosy impressive item, by far, was the biscotti that I got. Now, perhaps biscotti aren’t one of my specialties, but I could tell the shape and texture of them were different than what I am used to. First off, it was shaped-flatter offering more surface area for any drizzles or toppings. After just one bite I was willing to say it was the best I’ve ever had. It was dry, as biscottis are supposed to be, but it wasn’t hard. I wasn’t compelled to start dipping it in my Americano. 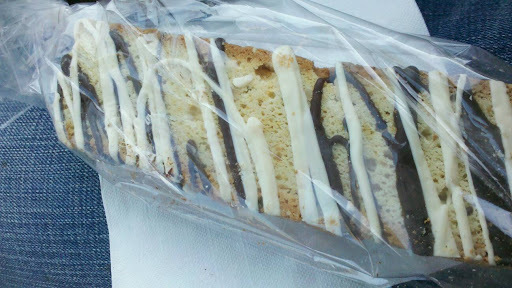 Also, on this biscotti, the chocolat drizzle wasn’t overly sweet, so it was a great breakfast snack for the road. West Viginia sports the slogan “Wild and Wonderful.” And being this was my first adventure eating in this state, I can say that The Pittsburgh TasteBuds might need to cross state lines more often to see what Wild and Wonderful things other states have. I look forward to finding out if there are actually any signature dishes from WV!